Oh honey hush! 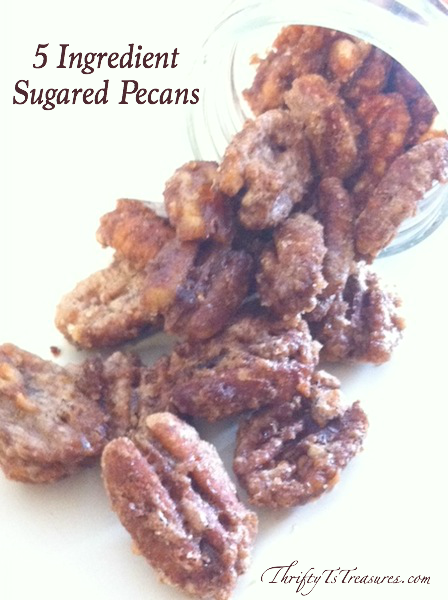 That’s exactly what you’ll say when you pop one of these Sugared Pecans in your mouth! 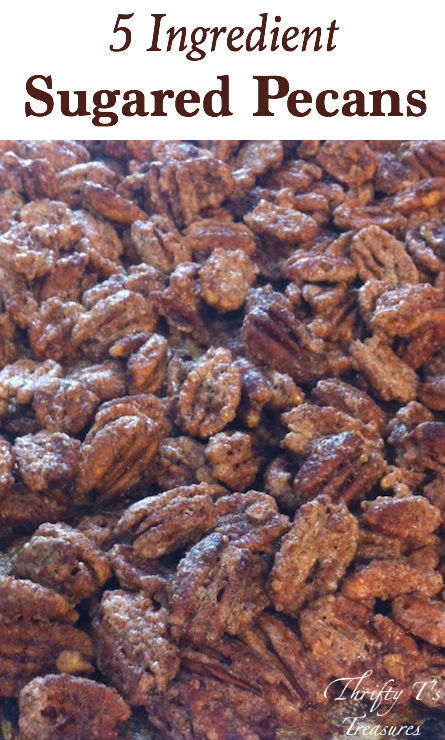 Be warned though because eating these Sugared Pecans is much like sitting down with a bag of potato chips, you won’t be able to eat just one! Pour the melted butter onto your baking sheet lined with foil*. Mix together the egg whites, sugar and cinnamon. Toss the pecans in the egg white mixture, making sure to coat well. Bake at 350 for 30 minutes. 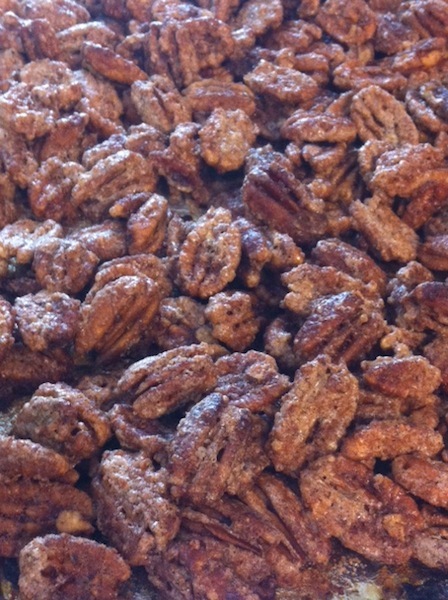 Stir the pecans every 10 minutes while they are baking. *Reader Tip: Use parchment paper instead of foil, making sure it goes past all sides of the pan. The parchment paper makes it easy to grab onto when stirring the pecans while they’re baking, and everything just slides off. If you’re making multiple batches, use a new piece for each batch. 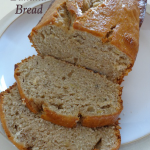 This recipe was so easy to make. 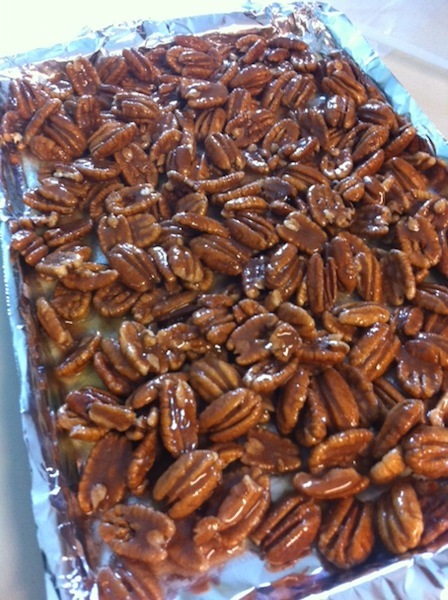 The hardest part was removing the pecans from the foil once they had cooled. 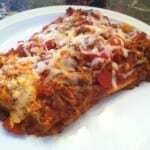 I was excited that Trent gave this recipe two thumbs up! Thanks Melissa! 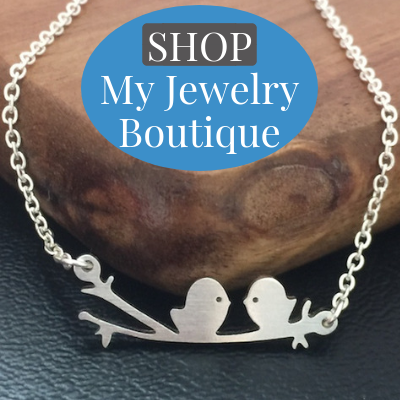 You’re going to love how easy it is to make! I want to surprise my family by making these but I am not a cook……so I have a couple of questions…. How long to I mix the egg white mixture? What is the consistency of the egg white mixture? Fluffy , foamy, still clear and slimy? I mixed the egg whites by hand with a fork for maybe a minute or two…just until they were mixed together well. They were still clear and slimy but could have have a bit of foam on the top. I hope your family enjoys them! Thanks for the comment about them sticking. I’ll use parchment paper when I make these. I make a batch with pecans and use the same recipe with cashews every Christmas to add to gift baskets in cone shaped bags. Love them! Oh I bet cashews would be yummy too. Great idea, Marilyn! Yay! Thanks so much for sharing your tip, Debbie! After you coat the pecans in the egg white mixture, do you just put them on top of the melted butter that is in the pan, or do you toss them with the melted butter? Hi Marina! I put the pecans on top of the melted butter. Enjoy! I have store bought egg whites. How much should I use if you’re asking for 3 egg whites? Thanks! 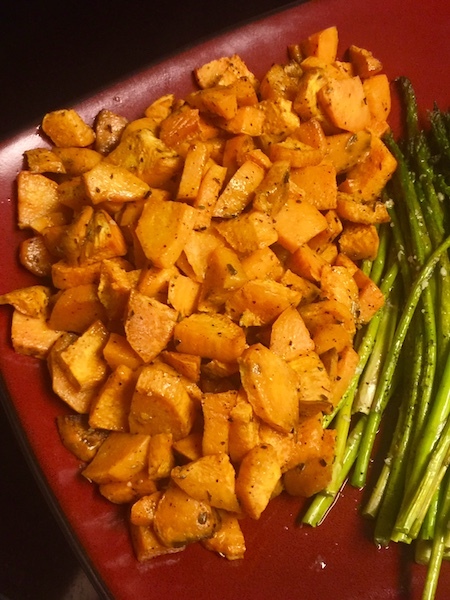 I haven’t made this recipe with store bought egg whites, but I believe the container usually has directions on how much to use in lieu of egg whites. In my electric oven they were done in 15 minutes! 30 would have burned them . Very good though. These will make great Christmas gifts, Carrie! 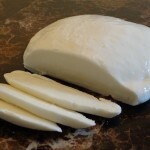 When stored in a sealed, airtight container at room temperature they should last about 30 days. They are delicious, but for my oven 30 minutes was about 5 minutes too long. So glad they’re delicious, Coya. Thanks for the heads up on the cook time!